Mumbai: ‘Teaching is a very noble profession that shapes the character, caliber, and future of an individual. 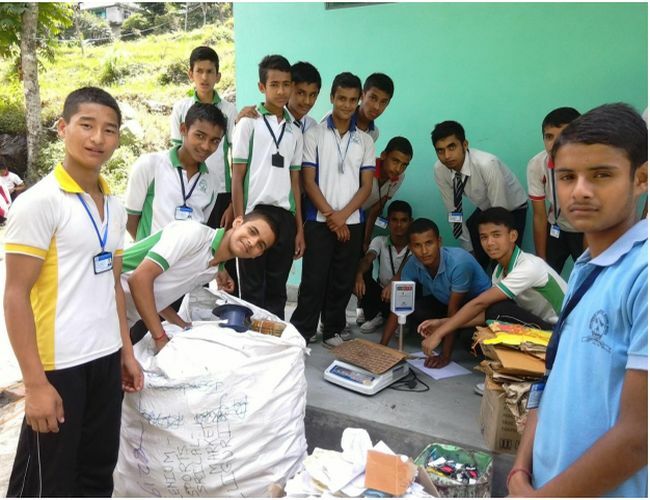 If the people remember me as a good teacher, that will be the biggest honour for me,’ reiterating these famous words of former President A. P. J. Abdul Kalam, a Mathematics teacher from a village in East Sikkim has embarked on a mission to teach his students the art of managing waste. 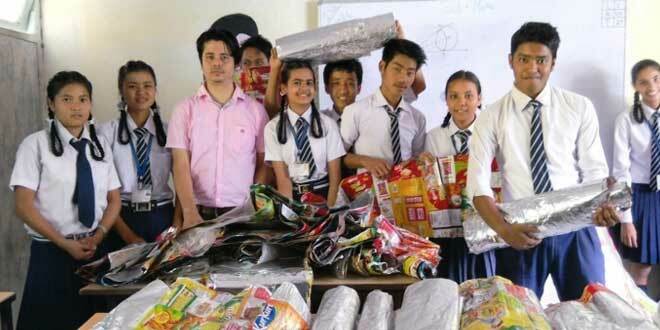 Meet 34-year-old Lomas Dhungel from Makha village who is not only building a sustainable future with the help of students but is also generating revenue by recycling waste. 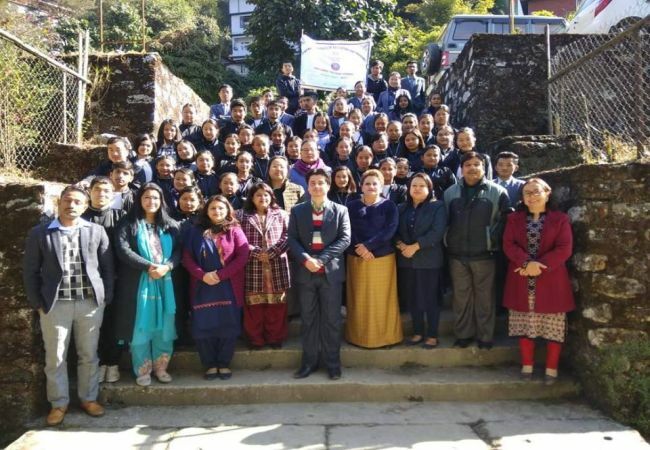 In 2015, he kickstarted his project ‘Hariyo Makha – Sikkim Against Pollution’ (‘Hariyo’ is a vernacular word for green) and so far, he has sponsored the education of five children from the revenue generated. It was in 1998, when Sikkim became the first state in India to impose a plastic ban, Lomas, then 16 years old, wondered what is wrong with using plastic items. The state-wide ban marked the beginning of Lomas’ fight against plastic pollution. Before the plastic ban came into effect, I had never heard anyone speak ill of plastic. In fact, plastic was something that was used by people from every walk of life. It bothered me how can plastic possibly be harmful to the extent that it was banned from the state. Later, I was devastated to find out the irreversible damage plastic is doing to the planet. At the same time, I was concerned about the ignorance of people towards plastic pollution. Like most of us, with no immediate solution or plastic alternative around him, Lomas also continued his life until he reached his late 20s. In 2013, he started exploring the possibilities of recycling waste. He started collecting waste from his neighbours. Back in 2013, I used to segregate the collected waste and instead of throwing or burning it, I started selling the dry waste to scrap dealers and recycling units. 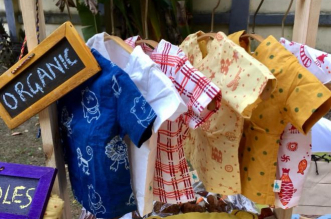 After finding a job as a school teacher in the same year, Lomas thought if he could change the outlook towards plastic pollution of even ten children, it would be a contribution to the environment. Thus, began Hariyo Makha project. The entire project is divided into three parts that deals with plastic waste, paper waste and other kinds of dry waste. Having no formal municipality to collect waste in Makha, people including locals and tourists would often litter the roads with chips packets. Since these plastic packets hold no monetary value, ragpickers would burn them that further led to air pollution. On an experimental basis, Lomas collected a few chips packets and stuck them together with a cello tape to create a book cover. It worked. Next day he presented the idea in his school, Government Senior Secondary School. It was approved by the school authorities. He approached students from class 6 to 8 and told them to bring chips packets to school. Meanwhile, he instructed the students of class 9 and 10 to clean the packets. With the help of a good quality cello tape they stuck the packets in the design of a book cover. 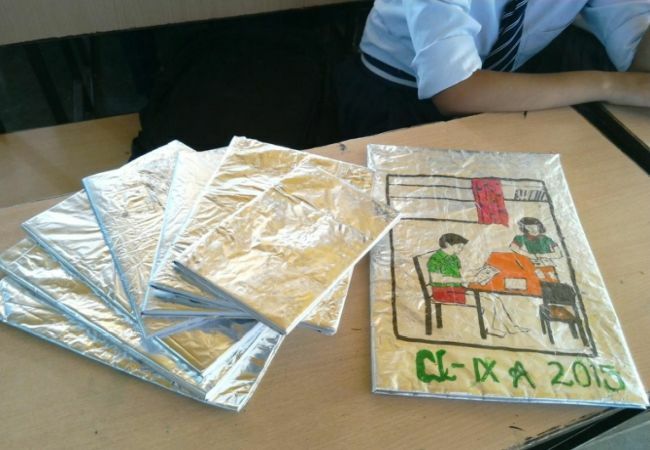 The project received an overwhelming response and in the last four years, a total of 50,000 plastic chips packets have been reused to make 3,000 book covers. All the book covers have been sold to schools from neighbouring villages. From the money collected, one student was sponsored for her schooling. This year we are all set to work for our new target of collecting 50,000 more plastics for covering all books from Class VI to VIII. We would then have collected and reused around one lakh plastic pieces. If we roughly assume that one piece of plastic weighs 5 gram then one lakh plastics would weigh 500 kg. Burning 1 kilo plastics would generate nearly 6 kilos of Carbon-dioxide in addition to other poisonous gases. We would thus have reused around 500 kilos of plastics and prevented 3000 kilos of Carbon-dioxide and other harmful gases from entering our atmosphere, explains Lomas. The common trend of using only one-side of A4 papers, especially for school assignments, has resulted in production of tremendous paper wastes that are either burnt or given to scrap vendors without completely being used, says Lomas. To tackle this problem, he started his second project titled ‘Clean Paper’ in 2017. Under this project, he requested schools in his village and the neighbouring ones to donate assignments of the students that pass out from school. His students who were already a part of plastic waste project were asked to spare 15 minutes every day to work for this project. Close to 20 schools made the donation by end of the 2017, more than 30,000 pages were reused to make 200 odd books by 82 students. From the money generated by selling the books to schools, four students have been sponsored. For every 100 book copies sold, one student is sponsored for admission. While half of the amount is earned from the product, the remaining is my voluntarily contribution. Recently, we helped 2 female students – Sova Devi Sharma and Anugrah Chettri to get admission into BA Courses under IGNOU, Gangtok. A demand for 200 additional copies is still on its way, says Lomas. From the papers that were collected, the students made sure they segregated the stapler pins and stored them in a box dedicated for the pins. More than 700 grams of stapler pins that is equivalent to nearly 10,000 pieces were collected and given to scrap vendors for recycling that would have otherwise discarded recklessly leading to soil contamination. Implementing the idea of collecting waste and selling it to the scrap dealers in the school, Lomas launched his third project in 2018. Known as the ‘Golden Rupee’, the idea behind this project is to collect dry waste including paper, plastic, glass, tins, etc and sell it to the recyclers. Interesting part about the project is that irrespective of the volume of waste, the school will take only one rupee from the recycler. Waste is no doubt a profit-making business. However, by propagating this I am putting the emphasis on money and managing waste gets sidelined. Eventually it would be all about money. But at the same time, I wanted my children to know that garbage also carried value and hence no waste should be wasted. 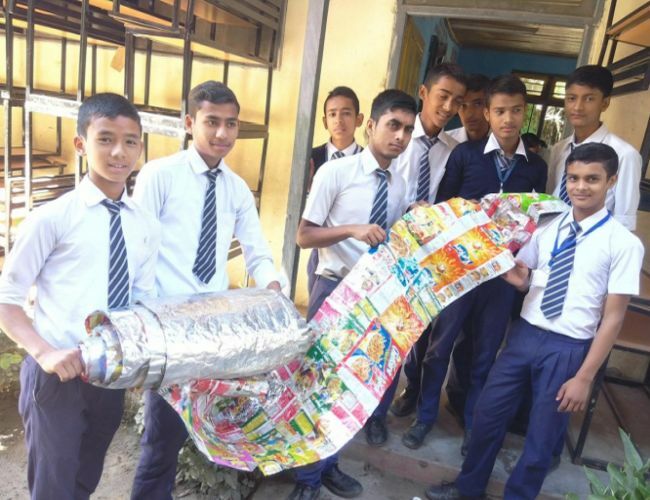 Once in every three months, the group of students along with Lomas collects around 100 kilos of waste from people’s houses and stores it in a room provided by the school. The waste is then transported to scrap dealers and recyclers. In the last twelve months, they have sold more than 500 kilos of waste and earned Rs 4. Besides creating a safe future for the villagers of Makha and giving children the right to study through sponsorships, Lomas also gets invited by NGOs, Block Development Officers, Hospitals and Private schools to conduct awareness on waste management and conduct workshops. In the last couple of years, if Lomas has learnt anything through the awareness workshops it is that the crisis of plastic and other wastes is reversible, and the change can happen only if we are willing. Today’s children will become tomorrow’s adults. They will run the world and the choices they make will decide their future. All we, as citizens, can do is change the perception of at least one child towards the way he handles the waste, signs off Lomas.